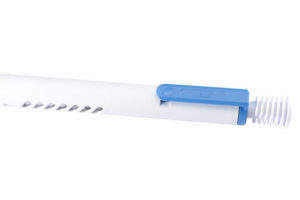 Haselmeier is a leading developer and manufacturer of innovative self-injection devices featuring proprietary designs, technology and intellectual property (IP). With more than four decades of medical device experience, Haselmeier has built up a world-class design and development team that works in compliance with regulatory requirements for the creation, design and industrialisation of our innovative self-injection systems used by pharmaceutical and biotechnology companies worldwide. Headquartered in Switzerland, the Haselmeier Group employs approximately 200 team members worldwide and has a presence in Europe, the US, India and China. Products are manufactured at state-of-the-art manufacturing sites located in Buchen im Odenwald (Germany), Dnesice (Czech Republic) and Bangalore (India). Haselmeier’s mission is to create products enabling a convenient and comfortable experience. This is why patient feedback is integrated early in our device designs. Early concepts are prototyped for testing and Human Factors studies to capture the handling needs and skills of potential users. This knowledge is integrated into the device design to provide successful administration of the drug product and a positive user experience. Successful development and industrialization of drug delivery devices is dependent upon the understanding and execution of today’s technical, regulatory and operational requirements. At Haselmeier we provide integrated design, development and industrialization services to help you bridge your serial product into the market. Our qualified design control process, certified quality system, regulatory expertise, solid network of partners and strong manufacturing operations are all designed to achieve your expectations. Together we enable a smooth market introduction for your commercial drug delivery device. We understand that each customer has individual and specific requirements for their product. Regardless of your requirements, Haselmeier applies the highest standard for manufacturing your drug delivery device to ensure a reliable and reproducible manufacturing and quality process. We work continuously with our customers to identify product improvements at all stages of the product’s lifecycle to provide a safe and state-of-the-art drug delivery device. 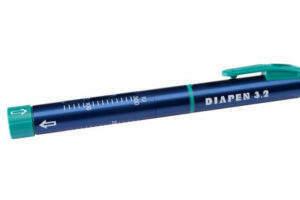 Subcutaneous injection pens primarily provide patients with a degree of freedom. 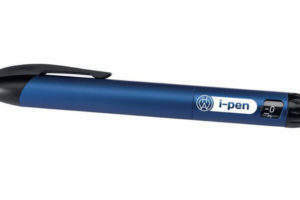 Self-administration with injection systems is based on small and easy-to-use pens that are easy to transport and are close at hand at any time. The number of new diagnoses of osteoporosis is estimated at 885,000 people a year for Germany alone, and the International Osteoporosis Foundation predicts that there are some 200 million people with the condition worldwide. For startups in the pharmaceutical, biotechnology and medical technology industries, the first few years are never easy. Research, studies and equipment incur enormous costs, right at the outset. 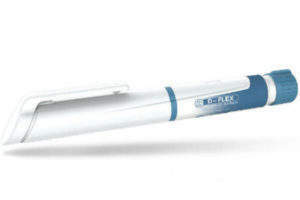 Clinical trials or industrial use of the self-injection system: The D-Flex Pen by Haselmeier is part of a brand new generation of drug delivery devices. Haselmeier has announced that Biocon has launched INSUPen® in India. 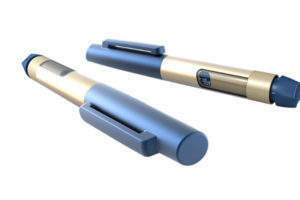 Designer and manufacturer of pen injection systems Haselmeier has announced that it will establish a new manufacturing facility in Bangalore, India, to produce and supply high-quality, competitively priced pen injectors. 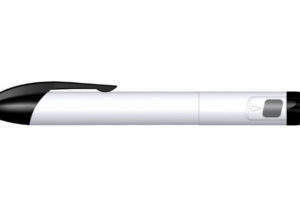 Haselmeier has announced that the first application of its Axis-D pen platform has been launched. Haselmeier Introduces the Award-Winning D-Flex. Just one.